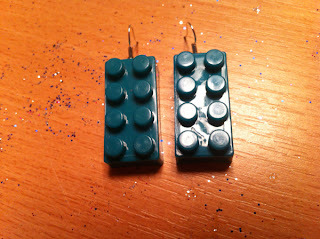 Here are some earrings and a bracelet I made from lego pieces. 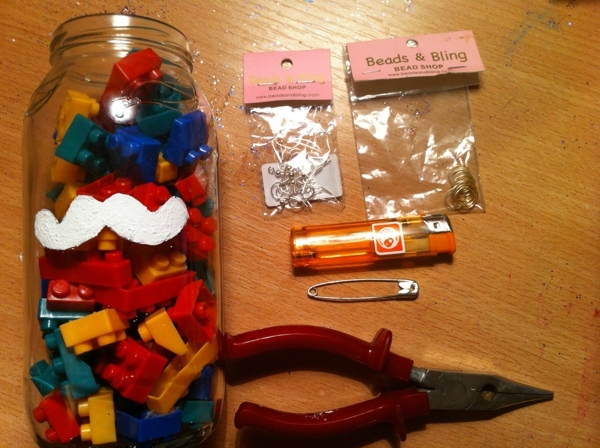 I have rings to make too but I ran out of super glue. Basically super glue a 2x2 piece to a ring base. 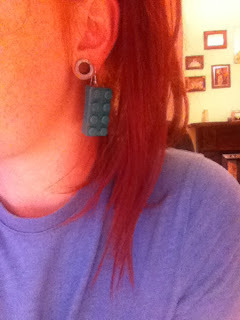 You will need: Lego piece. Use cheap ones from a euro store. These have thinner plastic. You will not be able to pierce through real lego pieces. 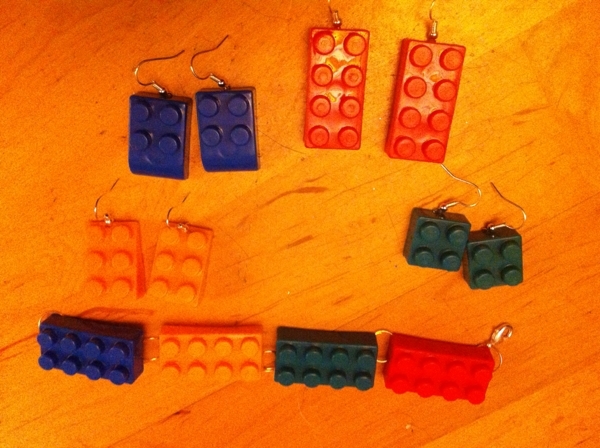 Alighter, A large needle or safety pin, pliers, earring hooks and jump rings. By being super careful and not suing me, use the lighter to heat the needle. when needle is hot enough pierce a hole in your lego piece near the edge. 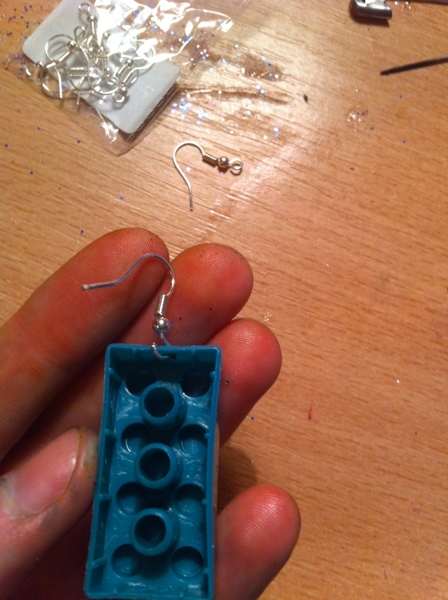 Using your pliers, open an earring hook, thread it through the hole and close the catch. For the bracelet, thread jump rigs through and link them up. 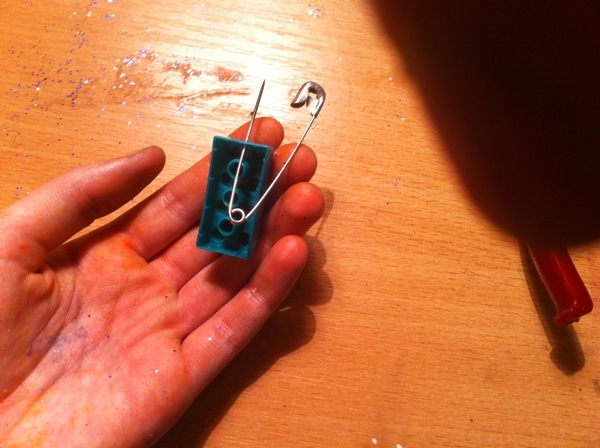 At the end add a clasp. Dont forget to check us out on FB!